Listening to these singles is like an amalgam of music from the last 50 (or more) years. Think new wave meets 80’s indie with a serious splash of rock and touch of popular punk. When I hear ‘Don’t Look Back At The Sun’ it sounds like the Only Ones ‘Another Girl, Another Planet’ sung by a voice somewhere between Buddy Holly, Jilted John and Elvis Costello. The demo of ‘Tell The King’ sounds like The Smiths while ‘Mockingbird’ is an old style rock & roll number. 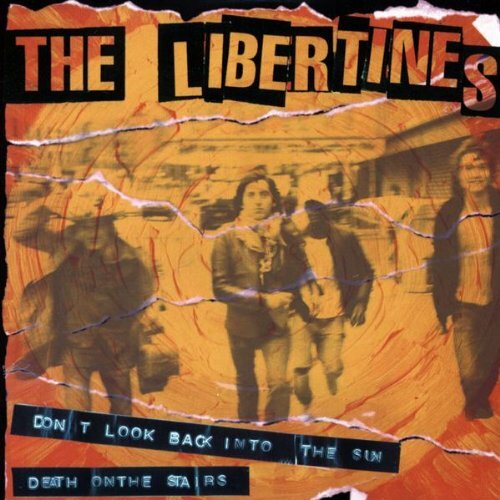 For all that, The Libertines, with producer Bernard Butler, have kept the recordings fresh and lively with far more of a homage than a theft to those that have come before them. The only planned live dates this year are at the Reading and Leeds festivals (playing on the 23rd and 24th respectively).